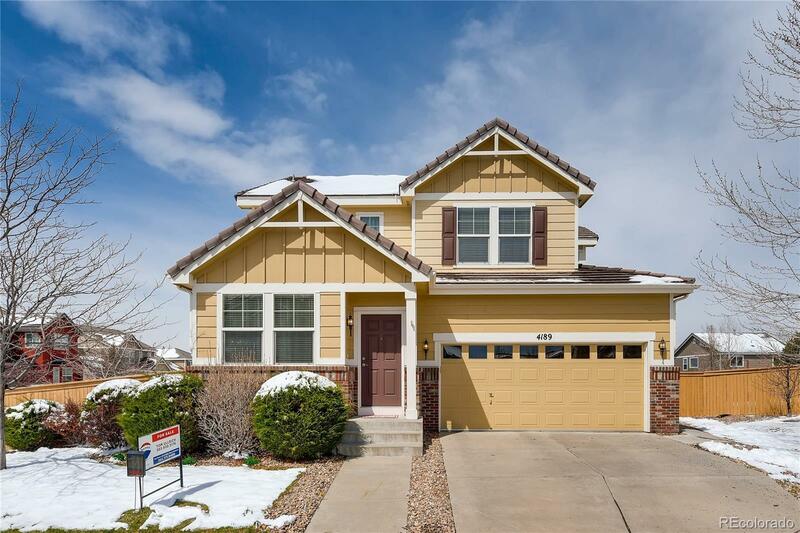 Welcoming from the moment you arrive, this gorgeous Highlands Ranch 2-story in The Hearth features 3 beds, 2.5 baths, living room, family room, kitchen, loft, full unfinished basement & 2-car attached garage. Beautifully updated & meticulously maintained â pride of ownership shines throughout. A few of the upgrades include a water softener, radon mitigation system, 3/4" hardwood & tile floors, slab granite counters (kitchen/baths), custom paint inside (neutral tones), freshly painted exterior & deck, extra closet shelving, window valances & blinds, LED lighting in the showers & throughout the house and more. The energy efficient furnace, central air, fireplace & ceiling fans keep this home comfortable all year long. The deck features a retractable awning. It is easy to picture yourself calling this one home. Close to dining, shopping, entertainment & other amenities. A short commute to Lone Tree, Centennial, the Denver Tech Center & beyond. Donât miss your opportunity. Welcome Home!